Wondering if your earrings are too big or your necklace too bright? 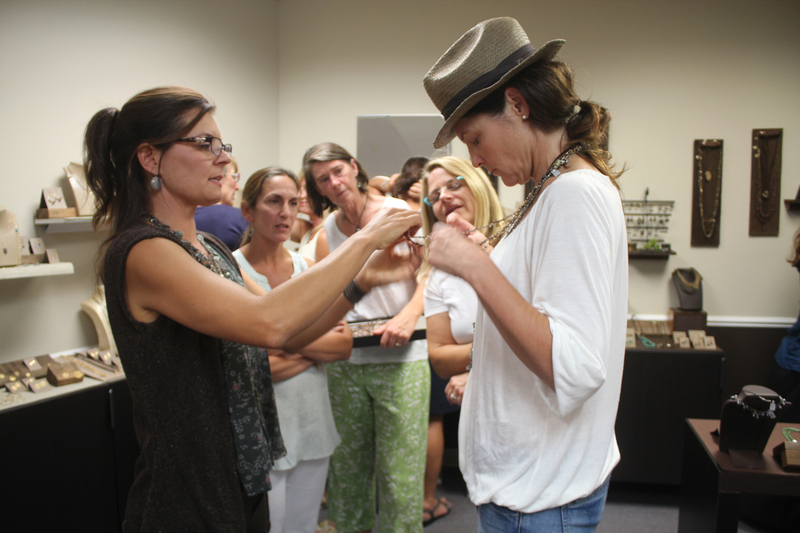 I will teach you how to choose accessories that enhance your natural beauty. You will learn the shape, size, color, visual weight, length, and complexity of accessories that work for you based on your individual set of design elements. We will also go over when to wear a short necklace vs. long and how to layer pieces to get more out of your purchases. You are welcome to bring accessories in question to go over. We will discuss if they harmonize with your design and if not, whether they can be “saved” and how. You take home a detailed description of your individual design elements for future reference. “This is an extremely useful & transformational experience packed with information and helpful tools!" I can also provide an overview of this information at a Private Party! This is great way to better understand the basic priciples of accessorizing successfuly in a group setting.